"The best articles ENEGEP will be invited for submission in journals of ABEPRO (Production, Production and On Line BJOPM). Salvador is one of the most important cultural cities of Brazil. This charming city, cradle of poets and illustrious artists of the Brazilian culture, became known in the world through the literary works of Jorge Amado and through the tender melodies of Dorival Caymmi and Vinícius de Moraes. This multicultural and colored city, full of folk expression all over, was the first great Portuguese metropolis in America. All over the city there is a harmonious integration between the archaic and the modern. "The Industrial Engineering and the Sustainable Development: Integrating Technology and Management"
From 06 to 09 October, 2009. Located in the city of Salvador, this hotel has a magnificent view of the sea and is 15 minutes from the main tourist areas and about 20km from the airport of Salvador. It is the ideal place for your beach vacation or for business meeting and conferences. This is one of the hotels with the most modern services and accommodations. The ICIEOM is the main International event in the area of Production Engineering realized in Brazil. Bringing together about 2000 interested in this field. This year it will be hosted by the Brazilian Association of Production Engineering, which has its headquarters in Salvador - Bahia, Brazil. 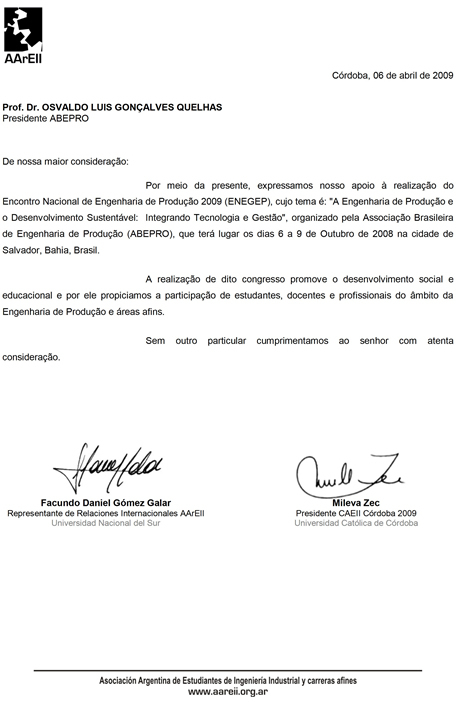 * The ArEII is supporting the ENEGEP and the ICIEOM 2009. Click here to see the document in full.